We have released Memsource Cloud 2.0 to all our customers on April 12, 2012 at 8:30am GMT. Memsource Cloud 2.0 features will only be available for new projects (created after the release of Memsource Cloud 2.0). Existing projects will not be affected by this release in any way and remain, of course, fully functional. Memsource Plugin will not be supported any more for new projects. 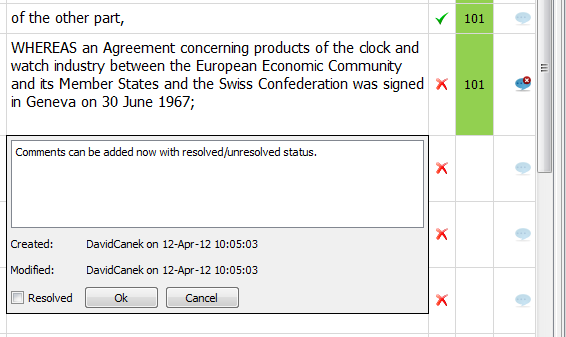 However, for projects created before the April 12, 2012, the Plugin will remain functional. If you have not done so already, start using Memsource Editor instead of the Plugin. Memsource Editor requires the MXLIFF bilingual format, which you can download from any Memsource project via the Download button. If you have any questions, contact our support. A commenting feature with comment status (resolved/unresolved) makes it much easier to share translator/reviser/customer feedback across all workflow steps. Memsource got version control and workflow management. A project manager can now set up a workflow for a project, e.g. translation -> revision -> sign-off. Even complex workflows can be managed in an easy and user-friendly way. (Workflow is only available in the Team edition). Split files get now displayed in projects just as any other translation jobs. And they can be analyzed, pre-translated, joined and even further split. In the image below, the file Highlights.pptx was split into three parts, each representing an autonomous translation job. 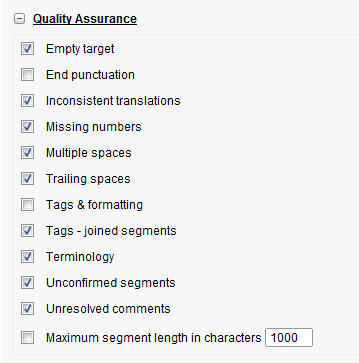 In Memsource Cloud 2.0 default or custom segmentation rules can be selected for a translation job.